The GPS uses extremely faint radio waves originating from satellites. 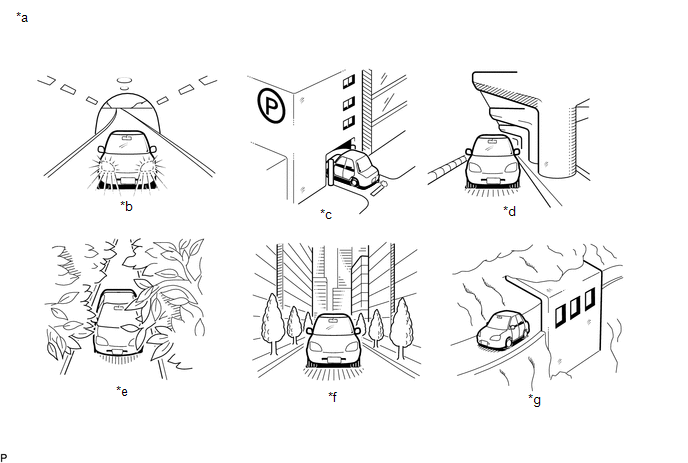 If the signal is interrupted by obstructions or other radio waves, the GPS may not be able to properly receive the signal. (a) Enter the "System Sensors Check" screen. 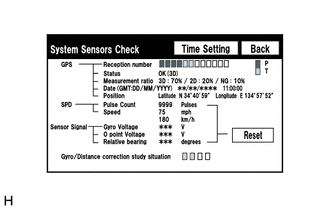 Refer to Check System Sensors in Operation Check (See page ). (b) Check how many of the following codes appear in the "Reception number".